I love the idea of St. Patty’s Day. It always feels like the real beginning of Springtime to me with all the emphasis on green and luck. At this time of year, each burst of new life from the Earth is like a miracle, and it really does sometimes feel like you could stumble upon a pot of gold. Lately, when I go out on walks with my little ones, I sometimes think our discoveries are even better than a Leprechaun’s treasure: riotous clumps of sunny daffodils, sleek and trim crocuses, gaudy bunches of bright pink camellias falling off the trees in a shower of opulence. It’s lovely. Plus, I’ve been listening to a book about an Irish doctor on CD, and so I can easily conjure up a wonderful Irish accent in my head these days. Although I can’t imitate it. It makes me very jealous. I wish I sounded like that. Here’s the problem with the holiday, though: I’m never sure what to do about it. When I was younger, my main focus was on pinching and being pinched, but these days, I sometimes feel a bit let down. What do people do to celebrate anyway? I love an excuse for a mini party, so I usually make a green dessert, but that’s about as far as I’ve gotten. Any suggestions? What does your family do? Give me some new traditions here! So far, I’ve gotten as far as key lime pie, which is undoubtedly a good beginning for anything. This has always been one of my favorite desserts. When I was growing up, it was always my request from my grandma, who makes delicious pies. Sometimes, though, she would simply make the filling and serve it chilled in fancy wine glasses topped with whipped cream. That was my favorite. In honor of that (but mostly out of laziness), that’s how I make it now. It saves you time and calories by nixing the crust, and the presentation is nicer than a slice of pie, at least if yours always seem to fall apart on the plate like mine. Unfortunately, I don’t have any fancy wine glasses. (After today, they’re on my Good Will list, although I’m not sure if I can justify the storage space for a once-a-year item. But then, who am I kidding? I will do anything for more kitchen gadgets.) I do, however, have some super-cute ramekins that were just given to me and which I have been dying to use. This was the perfect initiation. This recipe is easy, vegan, and delicious. 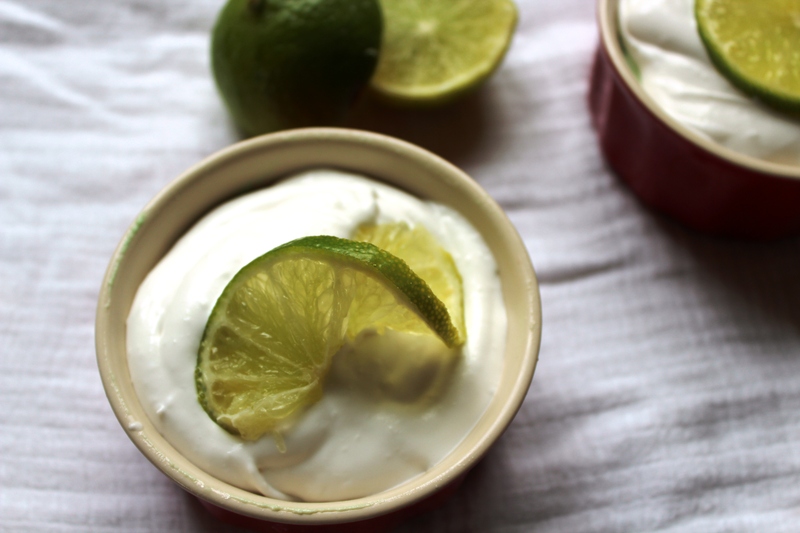 My friend Megan asked me to develop a dairy-free key lime pie recipe, and I’m embarrassed to admit it took me three months to do it. But the result is lovely. Fluffy clouds of coconut cream top a luscious, tart pudding. It’s like eating sweet air. It will be very hard to have only one. Also, I have never actually used key limes, so I guess this is not technically a key lime dessert. 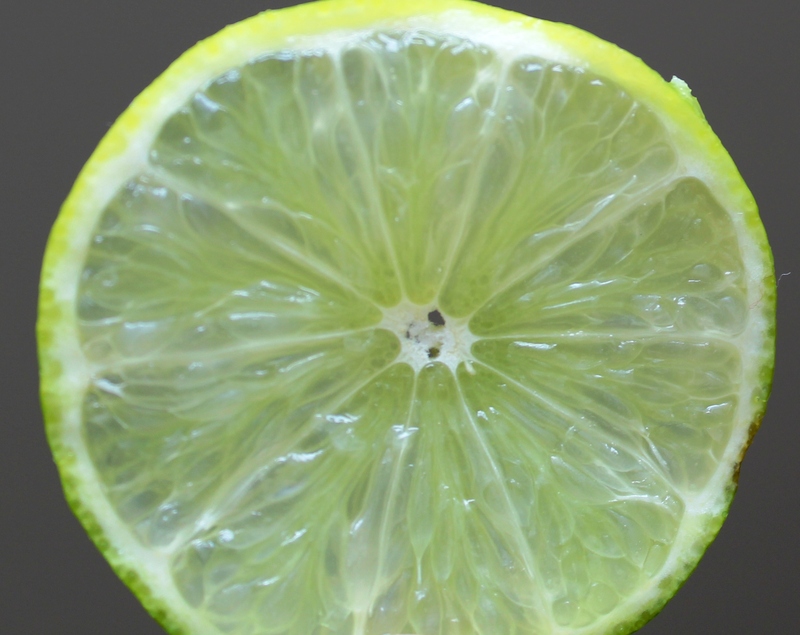 I hope you will use key limes if you feel the need and forgive the slight deceit! Because a big part of holidays for me is celebrating them with my children, I can’t resist adding green food coloring to this dessert. It’s certainly not necessary, but it won’t be green without it. Special Diets and Allergies: Dairy free, soy free, nut free, gluten free! Hurray! Treat yourself to a splash of Springtime! This light and airy dessert is sweet and tart and oh-so-heavenly. I like to use regular almond milk here, but any kind of plain milk (dairy or non-dairy) should work. If you use an unsweetened kind, though, you may need to increase the amount of agave. Also, the yield of coconut cream will vary from brand to brand because each one will have a different amount of liquid (which must be drained) in the can. The recipe suggests 3 cans, but I would recommend opening two, and then using the third only if needed. Make sure you buy full-fat coconut milk, not the lite kind, or it will not work. Also, be sure to chill it, the bowl, and the beaters ahead of time. At least 24 hours before making the recipe, place the cans of coconut milk in the fridge. Mix 1/3 C of the milk with the cornstarch until completely smooth. Set aside. 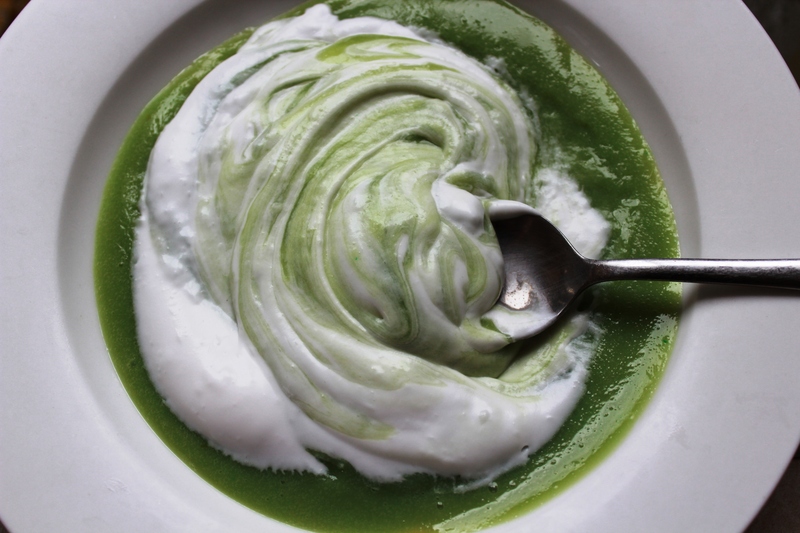 In a medium-sized saucepan, whisk together the remaining milk, lime juice, and agave. Heat, stirring regularly, on medium-high heat until steaming. Whisk in the cornstarch mixture. Continue to cook, stirring constantly, until it thickens. 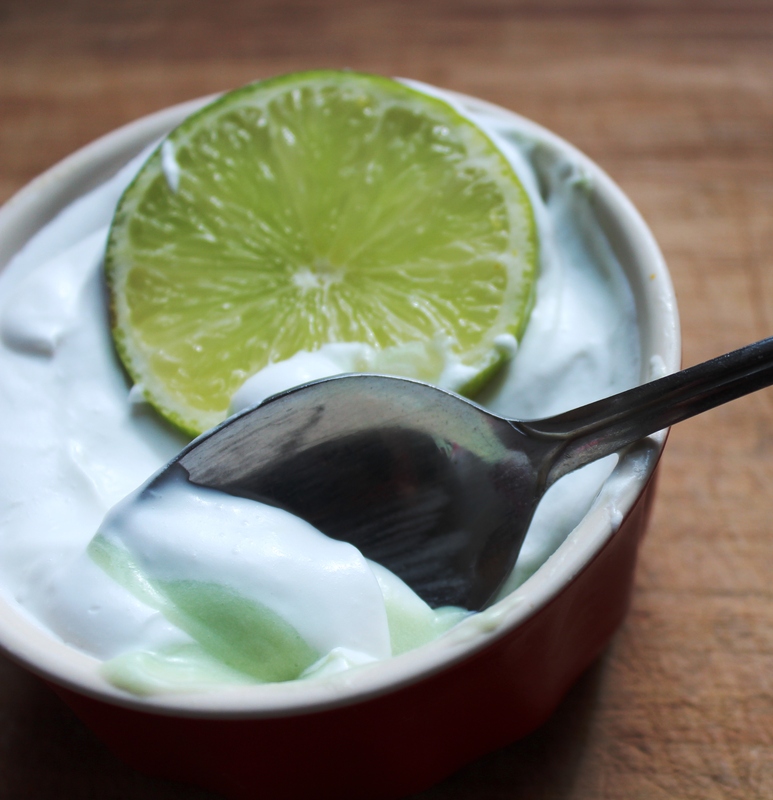 Stir in the lime zest and food coloring, if using, and remove from the heat. Spoon into a shallow dish and place in the fridge to cool. Place a metal bowl and your beaters in the freezer. Once the pudding has completely cooled, make the coconut cream. Remove the cans from the fridge. Flip them upside down and open the bottom of the cans. Drain all of the liquid in the cans. Scoop out the cream and place in the pre-chilled bowl. 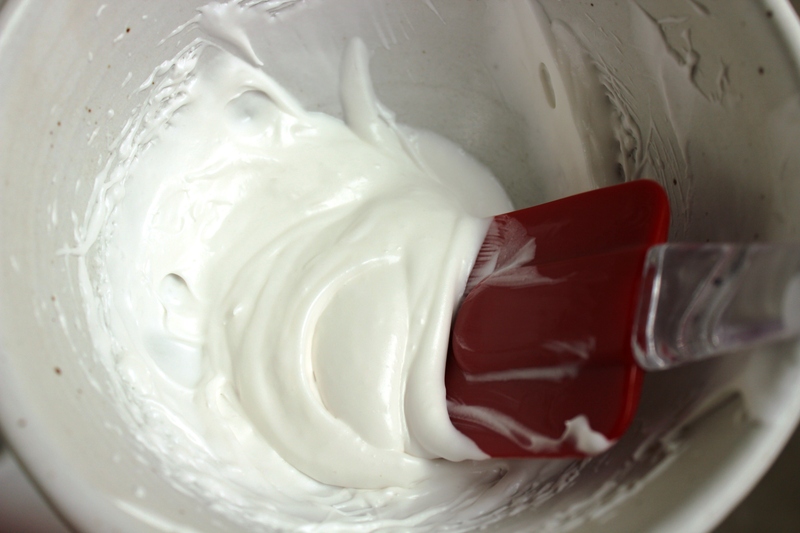 Using the cold beaters, beat the coconut cream until it becomes fluffy and holds soft peaks. Add sugar and vanilla to taste, as you would with regular whipped cream. Gently fold 1 1/2 to 2 C of the cream into the cooled pudding mixture. (You’re shooting for a 1:1 ratio of pudding to cream here). Spoon into the ramekins. Divide the remaining whipped cream among the ramekins and decorate the top of each with a big dollop of cream. Chill in the fridge for another 30 minutes. 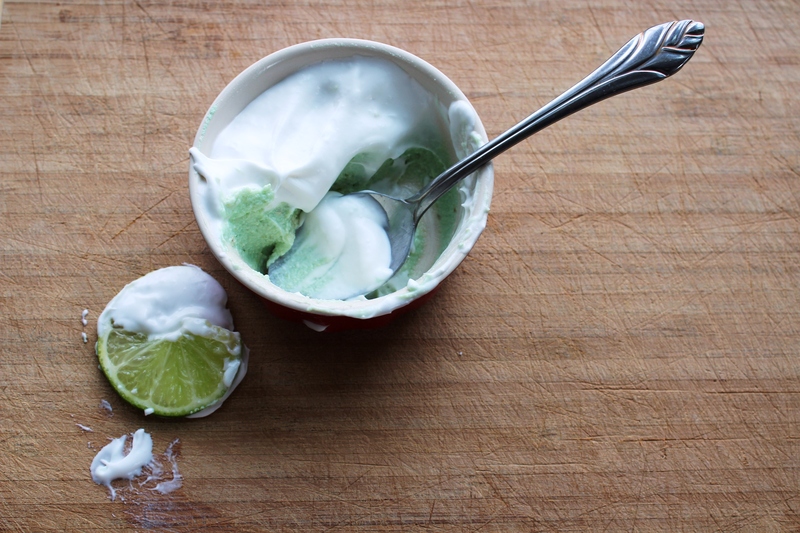 Serve bedecked with lime slices. This looks wonderful, Rosalie. 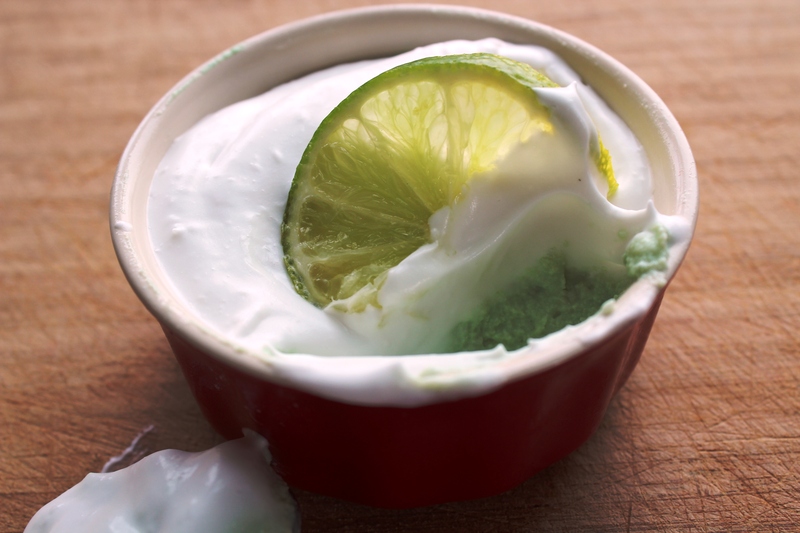 A cooking instructor once told me you can make a key lime pie with avocado, but I like your idea much better. Thank you for the tips about coconut cream, too. Hmm, it’s hard for me to imagine that. I’ve been surprised in the past, though. I sure love avocado-chocolate pudding! Let me know how your little guy likes it. It was very popular among the 4-and-under crowd at my house. I also made a version from a base made of pureed pine nuts that she loved. I didn’t like it as much as this one, though, so it didn’t make the cut. I was particularly pleased with the coconut cream in this recipe. My daughter has some issues with dairy, too, so I love that I can now make a dairy-free version of one of her favorite treats. We always make corned beef and cabbage for St. Patty’s day. It’s a family tradition and we make reuben sandwiches with the leftovers. A traditional Irish meal…fills the belly and is very satisfying. Brig also mentioned he heard on the radio that for kids, it’s fun to make a leprechaun trap – the kids almost always catch one but those sneaky leprechauns always get away. 🙂 Thanks for the recipe! I love the idea of a leprechan trap! I’ll have to figure out how to rig one of those up tomorrow. I had meant to make something with cabbage, but I’m afraid we’re having lasagna, which seems incredibly un-Irish. Oh well. At least we’ll have a green dessert!